The neighborhood is buzzing with excitement as we get ready for the Cubs season opener at Wrigley Field today and the church is buzzing with excitement as we get ready for Holy Week! The two nearly coincide but to be clear, there is a difference. Beginning with Palm Sunday this coming Sunday and culminating with the celebration of Easter the following Sunday, we hope this is a time of personal transformation for you as we attend to the mysteries of Christ's life, death, and Ressurection. He showed the example of perfect love. That is why we follow him, hoping our love can grow to be as broad and freely given as His. 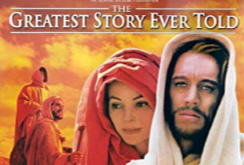 Join us on Sunday, April 14, 2019 at 6:30pm for a showing of the classic movie "The Greatest Story Ever Told" in the Saint Andrew Auditorium. Admission is free for this 1965 film epic. We've got the popcorn, you bring the snacks and yourself! We'll watch until 8:15pm for the kids (rated G) and continue watching afterwards (rated PG). We hope you'll join us for the story of Christ in motion picture as we start Holy Week! Also, please note that this Saturday, April 13, 2019 from 9-11am, we have an opportunity for service around the Church that needs a few extra hands. Our Spring Clean-Up Crew needs a small group to help clean up around the church, school, and neighborhood. Outdoor gear and gardening gloves encouraged. Can't make it that day? 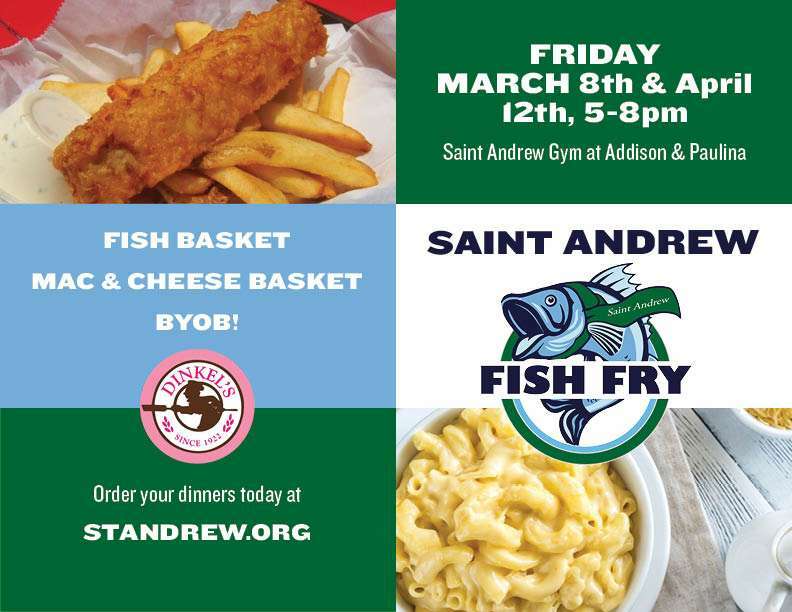 Send your availability for Saturday, April 27, 9:00am-3:00pm to megan@standrew.org. 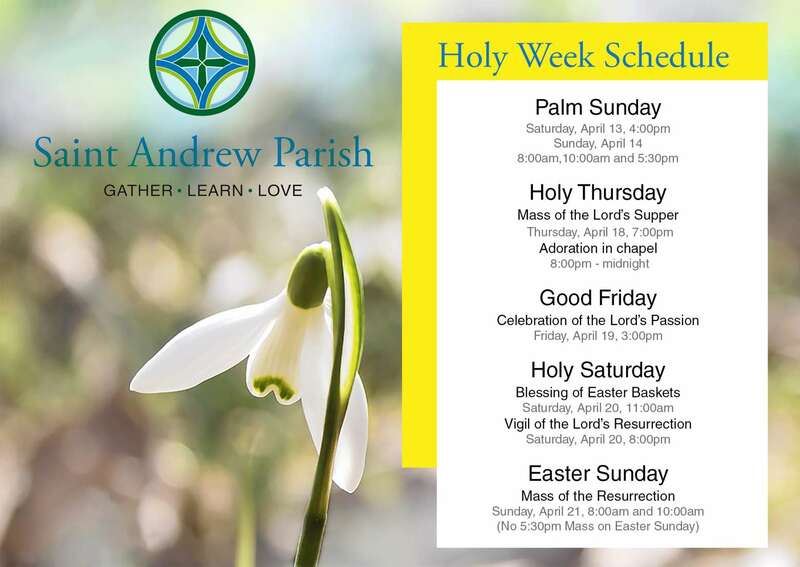 And finally, the schedule for Holy Week services is below. 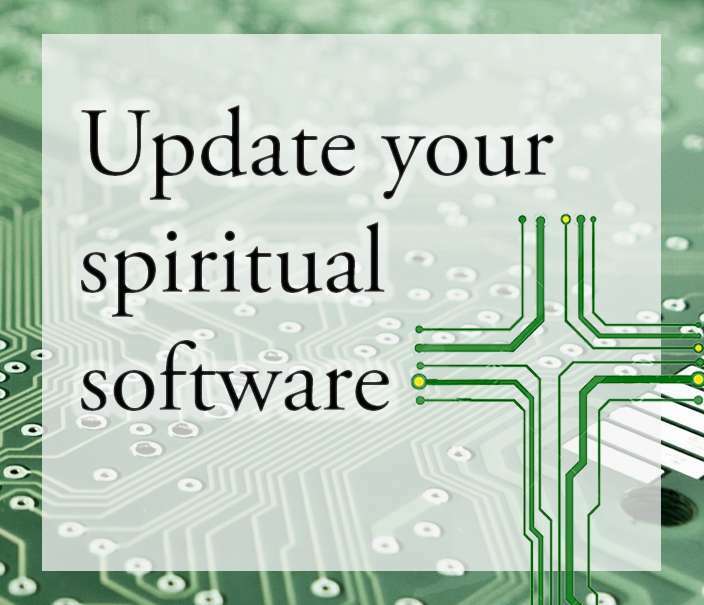 We hope to worship with you during these high holy days in the life of the Church. Also for your convenience, we've included a copy of yesterday's bulletin below. Have a great week!